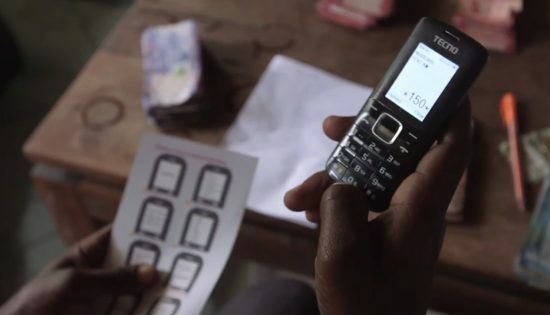 June 8, 2015, Washington, DC—FINCA today released a case study to guide microfinance institutions wishing to implement mobile technology to increase financial inclusion. Since introducing mobile banking to clients in Tanzania over a year ago, with support from The MasterCard Foundation, nearly one-third of FINCA Tanzania’s clients are now using the service for savings deposits and other transactions. Mobile technology and e-wallet applications have tremendous benefits for clients in Sub-Saharan Africa, including reduced travel time to bank branches, lower risks associated with carrying cash—such as loss or theft—and no more need for third-party banks. FINCA Tanzania has partnered with mobile operators so that clients can access a mobile wallet platform like M-PESA to make safe, convenient and cost-effective transactions. One of the challenges FINCA faced working with a large mobile operator like Vodacom was the company’s sheer size and market power. It is important to discuss not only technical issues like system compatibility, but also to stipulate how the relationship will be managed. The case study outlines that a Service Level Agreement is critical for laying out the terms and expectations for both parties and ensuring the best customer experience for FINCA’s clients. Another important recommended practice is to develop an effective customer awareness and education campaign to provide clear, step-by-step instructions and information on how the channel works. These were made available in English as well as Kiswahili, and were shared not only in print format but also as live demonstrations, for the benefit of illiterate clients. FINCA International’s mission is to alleviate poverty through lasting solutions that help people build assets, create jobs and raise their standard of living. Together with leading, socially responsible investment partners, FINCA owns and operates a network of microfinance institutions serving nearly 2 million low-income entrepreneurs and their communities in 23 countries. For more information, please visit www.FINCA.org or follow us at http://twitter.com/finca. The MasterCard Foundation works with visionary organizations to provide greater access to education, skills training and financial services for people living in poverty, primarily in Sub-Saharan Africa. As one of the largest, private foundations, its work is guided by its mission to advance learning and promote financial inclusion to create an inclusive and equitable world. Based in Toronto, Canada, its independence was established by MasterCard when the Foundation was created in 2006. For more information on the Foundation, please visit: www.mastercardfdn.org or follow us on Twitter @MCFoundation.